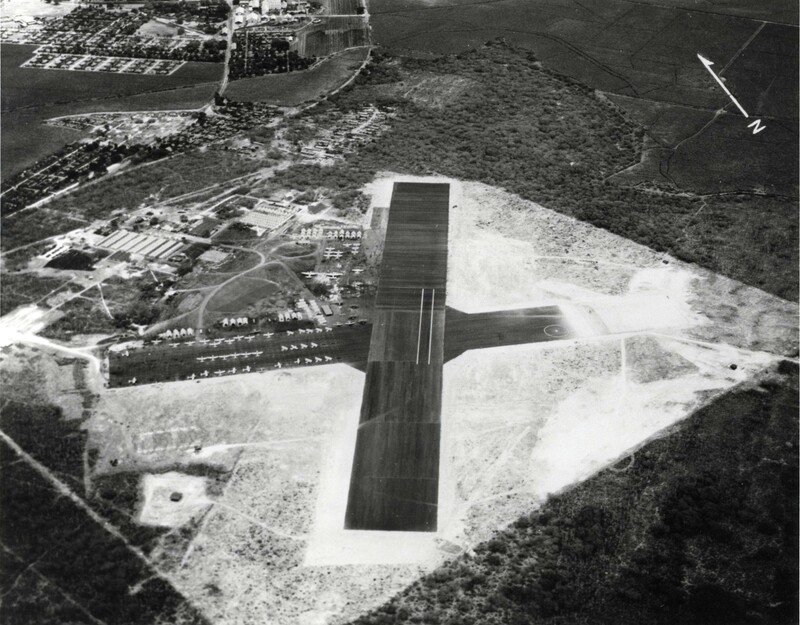 » Aerial view of Marine Corps Air Station Ewa, Oahu, Hawaii, Jul 29, 1941. The lines painted on the runway were to approximate a carrier’s flight deck. This photograph has been scaled down; full resolution photograph is available here (2,848 by 2,224 pixels).